Using their combined years of experience, the design team produces bespoke, race-proven designs for crankshafts, connecting rods and other engine components. Working closely with customers, the team produces full 3D models and manufacturing drawings from early concepts. FEA testing of designs can be done to show how loads from combustion and inertia will stress and deform the rods and crank as well as how vibrations may affect the components, and can indicate of the validity of one design over another for a given load case. Arrow Precision specify only the highest quality materials from mills in Western Europe to ensure they meet our strict quality standards. Before machining is undertaken, detailed drawings are produced to confirm material specs, bushing requirements, dimensions and fastener types. 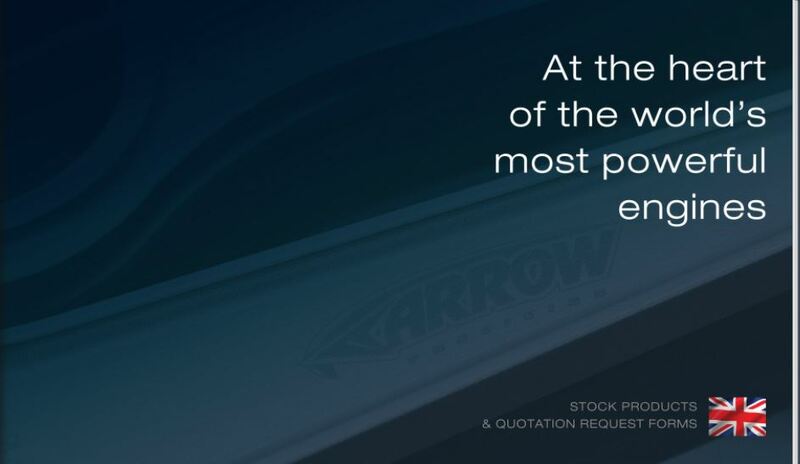 Click on the image to take a look at the Arrow Precision product catalogue.